DJ Foran is one of a number of positional changes for Waterford ahead of the All-Ireland minor hurling final. MATTIE MURPHY HAS kept faith with the same XV who overcame Limerick in the controversial ‘Hawk-Eye’ semi final as Galway prepare to take on Waterford in Sunday’s All-Ireland minor final. Galway have won now fewer than seven titles at minor level since 1992 and Murphy has been a the helm for six of those triumphs so few will question his selection. Meanwhile, the Waterford management have also named the same team that overcame Kilkenny in the All-Ireland MHC semi finals as they prepare to face Galway in Sunday’s decider. However, the Déise have made a number of positional switches in the forward line with DJ Foran moving from the wing to the centre half forward while Patrick Curran will wear the number 14 with Adam Farrell moving out to the corner. Sunday’s game will mark Waterford’s first appearance in an All-Ireland minor hurling final since 1992 when they lost to Galway. They will be hoping for a better outcome when they face the Tribesmen this Sunday. Throw in is at 1.15pm. Galway (MH v Waterford): Cathal Tuohy; Maidhc Ó Conghaile, Darragh O’Donoghue, Michael Connelly; Sean Linnane, Shane Cooney, Richard Doyle; Eanna Burke, Darragh Dolan (c); Conor Whelan, Ronan O’Meara, Adrian Morrissey; Brian Molloy, Brian Burke, Conor Shaughnessy. Waterford (MH v Galway): Gavin Power (Dungarvan); William Hahessey (Clonea), Kevin Daly (Dungarvan) Captain, Cian Leamy (Ballyduff Upper); Michéal Harney (Bonmahon), Austin Gleeson (Mount Sion), Shane Bennett (Ballysaggart); Mark O’Brien (Ferrybank), Tom Devine (Modeligo); Stephen Bennett (Ballysaggart), DJ Foran (Portlaw), Michael Kearney (Ballyduff Upper); Adam Farrell (De La Salle), Patrick Curran (Dungarvan), Colm Roche (Shamrocks). Originally published on September 5 at 8.50pm. Email “Galway and Waterford both unchanged for All-Ireland minor hurling final”. 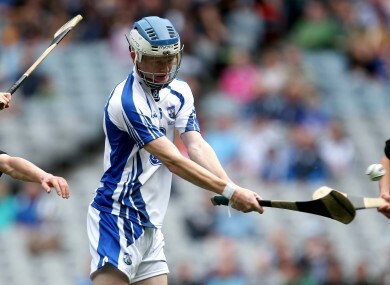 Feedback on “Galway and Waterford both unchanged for All-Ireland minor hurling final”.